Assistant professor of mechanical science and engineering Sameh Tawfick, Beckman postdoctoral fellow Caterina Lamuta, and Simon Messelot recently published a study on how to design super strong artificial muscles in the journal Smart Materials and Structures. The new muscles are made from carbon fiber-reinforced siloxane rubber and have a coiled geometry. These muscles are capable of not only lifting up to 12,600 times their own weight, but also supporting up to 60 MPa of mechanical stress, providing tensile strokes higher than 25% and specific work of up to 758 J/kg. This amount is 18 times more than the specific work natural muscles are capable of producing. When electrically actuated, the carbon fiber-based artificial muscles show excellent performance without requiring a high input voltage: the authors showed how a 0.4 mm diameter muscle bundle is able to lift half a gallon of water by 1.4 inches with only 0.172 V/cm applied voltage. "The range of applications of these low cost and light weight artificial muscles is really wide and involves different fields such as robotics, prosthetics, orthotics, and human assistive devices," Lamuta said. "The mathematical model we proposed is a useful design tool to tailor the performance of coiled artificial muscles according to the different applications. Furthermore, the model provides a clear understanding of all the parameters that play an important role in the actuation mechanism, and this encourages future research works toward the development of new typologies of fiber-reinforced coiled muscles with enhanced properties." "Coiled muscles were invented recently using nylon threads," Tawfick said. "They can exert large actuation strokes, which make them incredibly useful for applications in human assistive devices: if only they could be made much stronger." 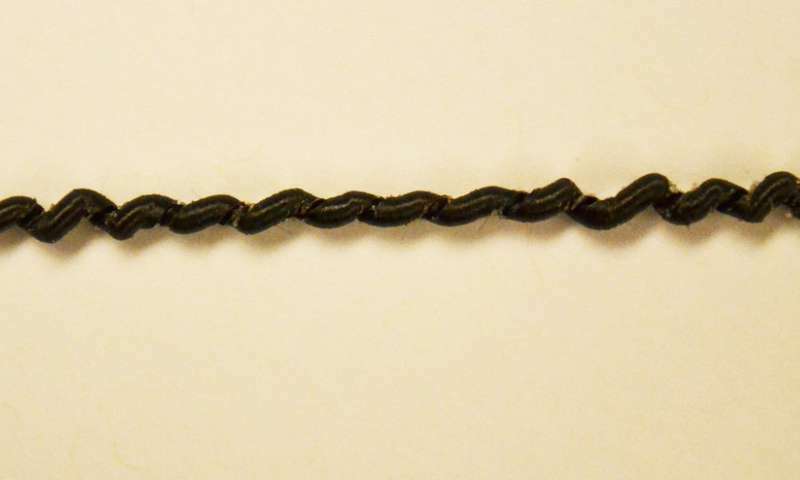 "To use carbon fibers, we had to understand the mechanism of contraction of coiled muscles. Once we uncovered the theory, we learned how to transform carbon fibers into ultra strong muscles. We simply filled carbon fiber tows with the suitable type of silicone rubber, and their performance was impressive, precisely what we had aimed for," Tawfick said. This study demonstrates that muscle contraction is caused by an increase in the radius of the muscle yarn due to thermal expansion or solvent absorption of the silicone filing. "The muscles flex when the silicone rubber locally pushes the fibers apart within the tow, by applying a voltage, heat or swelling by a solvent. The internal pressure exerted from the silicone rubber onto the fibers makes the tow diameter expand and uncoil causing a contraction stroke along the length." Now if they can just figure out how hobbyists can make this stuff we will have little robots running around all over the place. Why use bulky motors when you can make real muscles? I would really like to know the energy efficiency of this; about what percentage of the electrical energy going into the fiber is converted into actual useful mechanical energy? Has anyone got the slightest clue on that? Tony stark knew this already for some time now.